Reducing claim denials should be a continuous effort. 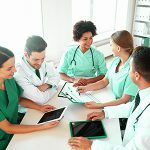 Every medical practice should consciously work toward improving office efficiency and cash flow. This invariably implies that claim denial is reduced to the least possible rate. Having a high denial rate means more time and money spent on reworking and resubmitting claims to payers. There are practical steps that can help your practice reduce denials. These tips will help you understand how your practice can reduce denial claims to a minimum level and maintain the industry standard denial rate of 2% to 5%. Minor errors can cost you money and your practice time. Reviewing each claim for accuracy may seem like a lot of work, but it will pay off as well as save time and resources. Practice bill denial rate from untimely filing should be 0%. The health care industry is ever changing and dynamic. Billing staff should be in close communication with all Centers for Medicare Services and insurance company’s in-house coding standards. Billing companies should make it a duty to share important updates with the entire practice as information becomes available. This will ensure that everyone within your practice is on the same page. This will also reduce any surprises when it comes to the ever changing medical coding environment. The chance of errors occurring can easily increase if your practice staff handles too many operations at once. Part of the concern when submitting claims is the risk of human error as mentioned above. There’s a constant need to recheck, but what if there isn’t enough time? Bringing in a medical billing company can reduce the rate of claim denial. These companies have coders in place who are familiar with the dynamic nature of medical coding along with the required software that is built to check for errors that can lead to denials. Finally, the American Medical Association (AMA) in a recent study found that on average almost $15,000 per year is spent on appealing, investigating, and reworking denied claims. This implies a huge chunk of what healthcare providers work for leading to losses that otherwise could have been avoided if the above tips are employed.